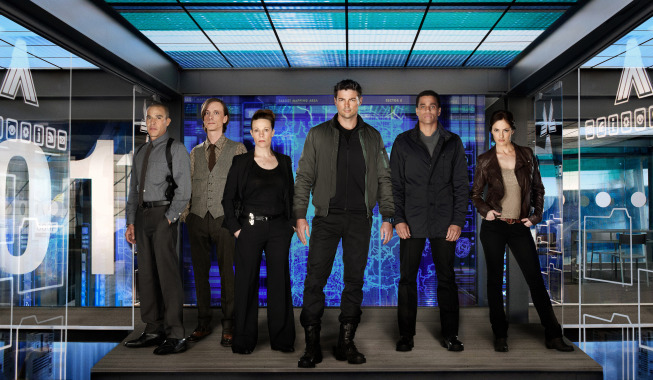 My take: ALMOST HUMAN is one of the fall shows I’ve most been looking forward to. I’ve only seen the pilot, but I found it beautifully done. It’s loaded with a ton of potential for what can be explored, both with characters and the world that is immediately established. So much of what works falls on Michael Ealy (Dorian), whose portrayal of Dorian — an android — feels nuanced and layered, versus a joke, and it helps he has an easy chemistry with his co-star Karl Urban (John Kennex). I’ve loved what ALMOST HUMAN creator/former FRINGE showrunner J.H. Wyman has had to say about humanity in the past, so I’m really hopeful about this show. ALMOST HUMAN premieres kicks off tonight at 8 PM on Fox, followed by its time period premiere, Monday, November 18th at 8 PM. It¡¦s actually a great and helpful piece of info. I¡¦m happy that you shared this helpful info with us. Please keep us informed like this. Thanks for sharing. I would like to thank you for the efforts you have put in writing this site. I am hoping the same high-grade site post from you in the upcoming as well. Actually your creative writing abilities has encouraged me to get my own blog now. Really the blogging is spreading its wings rapidly. Your write up is a good example of it. Hello.This post was extremely remarkable, especially because I was looking for thoughts on this matter last Monday.